A whirlwind of excitement has been ignited since the announcement of the WSOP Circuit Series event at The Star in Sydney. The tournament will begin on Tuesday, November 22 with the historically popular $440 No-limit hold’em Opening Event and culminate on Monday, December 12 with the final table of the $2000 Main Event. For the past five years the Star Poker Summer Series has been part of the poker calendar during the months of November and December at The Star. Now working in with the World Series of Poker, winners of the 11 events across the Series will earn a prized official WSOP gold ring. 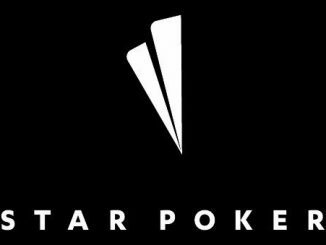 Star Poker has been running satellites to the Main Event since October 9. Now in their newly renovated and world-class poker room, players have been provided with many of opportunities qualify. And there are plenty more satellites scheduled ahead of the headline tournament beginning on Thursday December 8. Fresh from the recent Sydney Championships in August that attracted more than 2,000 players and a total prize pool of more than $2.5 million, the WSOP Circuit Series has guaranteed prize pools in four events. The largest of the four is the main event where there’s a $1,000,000 guarantee. “The WSOP name has been responsible for many of poker’s greatest moments so it’s fitting that The Star is hosting this fantastic event in our newly renovated Poker room for the first time,” said The Star representative Damian Quayle, Chief Operating Officer of Gaming.